Most of us would take just about anything if we thought it might keep us healthy during cold and flu season. It turns out that there’s some evidence to suggest that an herb you likely have in your kitchen might be able to help stave off sickness this winter. Some natural health enthusiasts promote oregano oil as a means to fight cold and flus, keep your digestive tract healthy, and soothe problem skin. But is there any science behind the hype? Here are the 11 things you should know about oregano oil this winter. Yes, it’s from the herb: Oregano oil is, as the name implies, oil from the oregano herb that is extracted by steam distillation. Or at least from an oregano herb — there are more than 40 varieties of the plant. According to Alive, the oil from Oreganum vulgare is believed to hold the most therapeutic benefit. Stuffed up? You may find some relief by adding a couple drops of oregano oil to a diffuser or vapourizer and inhaling for a few minutes. Drinking a few drops of oil in juice or water may also provide some relief from a sore throat. It’s also used for GI problems: Because there’s some evidence that oil of oregano has anti-fungal or antiviral properties, it’s thought to be helpful for some gastrointestinal issues. One small study showed that treatment with oregano oil may be useful for parasite infections, but further study is needed. It could have anti-fungal properties: Some studies have shown that in lab cultures, oregano oil puts up a strong fight against Candida albicans, the bacteria that causes the fungal infection candida. Other research found it may have a similar effect against the mold fungis Aspergillus flavus and Aspergillus niger. However, similar studies haven’t yet been done in human subjects. You can use it on your skin: It’s thought that oregano oil is helpful for skin conditions like cold sores, muscle aches, nail fungus, joint pain, and dandruff. Try diluting it with a carrier oil like jojoba, sweet almond, or grapeseed, at 10 to 12 drops oregano oil per ounce of carrier oil. However, don’t use oregano oil on broken or sensitive skin, as it can be irritating. There is some anecdotal evidence suggestions that it may be effective for treatment of psoriasis, an inflammatory skin condition, but no published research yet. It’s a natural insect repellent: Oil of oregano contains many compounds, and one of them is carvacrol — a natural insect repellent. This compound is also found in plants like mint and thyme. Try putting a few drops of oil on outdoor furniture — test first on an inconspicuous area to make sure it doesn’t stain — or apply a dilution of it to unbroken skin when heading outdoors. It may help in the fight against antibiotic resistance: Some people believe that we can stave off antibiotic resistance by turning to natural solutions like oregano oil more often. One lab test in 2001 found that oregano oil was effective in killing staphylococcus bacteria, and another published laboratory study out of the UK found that it showed effectiveness against 25 different bacteria. It tastes terrible: Don’t expect that you’ll enjoy taking oregano oil, even if you love Greek food. It has a much more potent taste in oil form, so be prepared! Be careful: Because oregano oil in its pure form is so strong, it should only be used when diluted; try a ratio of one part oregano oil to three parts carrier oil, such as olive oil. Undiluted oregano oil can be irritating to the skin and mucous membranes. It is also possible to purchase diluted oregano oil. It’s meant for short-term use: In Alive, clinical herbalist Michelle Lynde recommends using oregano oil for acute conditions, by taking four to six drops at a time for seven to ten days. It’s not for everyone: The therapeutic use of oregano oil should be avoided in infants and children, and pregnant or nursing women. It also should be avoided by people with high blood pressure or a heart condition. It’s always a good idea to talk to your preferred medical professional before starting a new wellness routine, and to disclose your use of alternative therapies in case of counter-indications with other medications or treatments. Categories: herbs | Tags: antibiotics, colds, flu, herbs, infection, oregano | Permalink. Your cart is bursting with colorful fruits and veggies, but days later, it’s all wilted and sad. Use these smart storage rules to keep foods fresher longer. Many fruits, such as tomatoes, bananas, and melons, produce ethylene gas, a ripening agent that speeds up spoilage. Cucumbers are super sensitive to this ethylene gas, so they need their own place or they’ll spoil faster. They’re actually more suited to hanging out on the counter than in the crisper drawer with off-gassing fruits, but if you want cold cucumbers, you can store them for a few days in the fridge (away from fruits). If you need to use them up fast, try this refreshing cold cucumber soup. If you’re trying to cut back on salt or just add more flavor to your food, fresh herbs fit the bill, but don’t just toss them in the fridge. “Store fresh herbs just as you would fresh cut flowers,” says Dana Tomlin, Fresh Manager at Wheatsville Food Co-op in Austin, Texas. First, make sure the leaves are completely dry. Next, snip off the ends and place the herbs, stem down in a cup or mason jar with water. Most herbs do well when stored this way in the fridge. Basil, however likes to hang out at room temperature. You’ll still want to place it in a jar with water though. When the water gets yucky, drain and add fresh water. Most herbs stored this way are good for up to two weeks. Start your own herb garden to save money and get super-fresh sprigs. Squash and pumpkins are well known for having a long shelf life but apples, another fall favorite (along with pears and other ripening fruit) shouldn’t be stored with them. According to Oregon State University Extension Service, it will cause the squash to yellow and go bad. Squash and pumpkins keep well at temps between 50 and 55 degrees Fahrenheit, which is cooler than room temperature but not as chilly as the fridge. Larger pumpkins and larger squash will last up to six months, but keep an eye on the smaller ones, as they usually last about three months. See what nutritionists do with pumpkin puree. Root vegetables such as carrots, yams, kohlrabi, beets, and onions are some of the most nutrient-dense veggies we can eat, since they absorb nutrients from the soil. To retain those good nutrients, store root vegetables in a cool, dark, and humid place. A root cellar is ideal, but most of us don’t have one. The next best option, according to ohmyveggies.com, is to place the veggies in a paper or plastic bag in the crisper. If you just toss them in the fridge—even in the crisper, they’ll soften and rot a lot quicker. Berries are delightfully sweet and easy to eat. The problem is, they can get moldy quickly if not stored properly. The culprit is tiny mold spores that want to make the little nooks and crannies of the berry skin their home. Tomlin says the first rule is to avoid washing them until you’re ready to eat them because moisture equals mold. What if you just brought home a Costco-size carton of berries and won’t be able to eat them all right away? You can extend their life by a few days by taking a few minutes to give the berries a bath in a solution of one cup vinegar to three cups of water. Let them soak briefly; then gently rinse in a colander. The vinegar will hinder the mold growth. Since berries don’t do well sitting wet, make sure to dry them thoroughly—lay them out on a paper towel and gently blot (or put a few paper towels in your salad spinner and dry them that way. Store the berries loosely in a container that is ventilated, or leave the lid partially opened. Sometimes, we can’t just all get along. That’s the case with apples and oranges—trusted fruit bowl staples in still life paintings but frenemies in fridge life. Fruits give off a gas called ethylene, the ripening agent that will lead to faster spoilage of the produce around it, says author and chef, Matthew Robinson of The Culinary Exchange. Store apples in the fridge if you want to extend their shelf life. Oranges stored in the fridge (away from apples) should be placed in a mesh bag so that air can circulate around them. Plastic bags will only make oranges moldy. Banana hooks may show off bananas in their best light but the problem is, they will all ripen the same time, which means you’re either eating bananas for two days straight or tossing the rotting ones. Here’s a solution: Break up the bunch. Keep some in the fruit bowl on the counter to ripen and store others bananas in the fridge to delay the ripening process. If you missed your chance and you’ve got a glut of spotted bananas, use them in banana bread or toss them in the freezer to make banana “ice cream.” Bananas are good for your health—inside and out. Another idea: Try mashing them up to make a homemade face mask. Fried potatoes and onions are a delish combo but don’t store them together before you cook them, as the onions will cause the potatoes to go bad. “It’s best to store items like potatoes and squash in an open-air wicker basket in a cool, dark place to preserve freshness,” says Tomlin. “You can store them in a paper bag, but just make sure they’re in a container where moisture or condensation can’t build up, which would make them soften and go bad faster.” A friendly neighbor for onions is garlic. They can be stored near each other without ripening or spoiling. Just store them in a well ventilated space, and keep the paper-like skin of the garlic intact until use. According to the 2017 survey conducted by Pollock Communications and the trade publication Today’s Dietitian avocado is number two on the list of the Top 10 Super Foods for 2017. Since avocados can be pricey, it’s important to store them correctly. “If your avocados are under-ripe, store them next to bananas. The gasses released from the bananas promote ripening,” says Tomlin. “If you need to extend the life of an avocado, store it in the refrigerator. It will slow the ripening process significantly.” For times you get a hankerin’ for a little sliced avocado on a sammie but can’t eat the whole thing, Tomlin suggests storing the cut avocado with the seed intact in an airtight container along with a sliver of a onion. Or is the fridge that hates tomatoes? A freshly picked garden tomato is undeniably delicious, but too much time in the fridge can make it mushy and bland-tasting. According to eatright.org, tomatoes can be stored in the fridge for two or three days but once you cut into it any unused tomato or any fruit and veggie should be placed back in the fridge to slow down the growth of harmful bacteria. But tomatoes kept at room temperature have more flavor. So, if you can, store them on the countertop. See the other foods you’re spoiling by putting them in the fridge. Peanut butter on a crunchy stalk of celery is a snack that has stood the test of time (especially if you put raisins atop the peanut butter), but limp celery—not so much. Storing it in plastic is a no-no. The ethylene gas it produces has no where to go. Wrap the celery tightly in foil and after each use, re-wrap it snug. Or if you want grab-n-go celery, cut it up into sticks and submerge them in water in an airtight container. The same water bath works for cut-up carrot sticks and asparagus. Keep the rubber bands around the stems and cut off the fibrous ends. They are pretty tough and not tasty anyway. Place them in a tall drinking glass with enough water to cover an inch of asparagus. 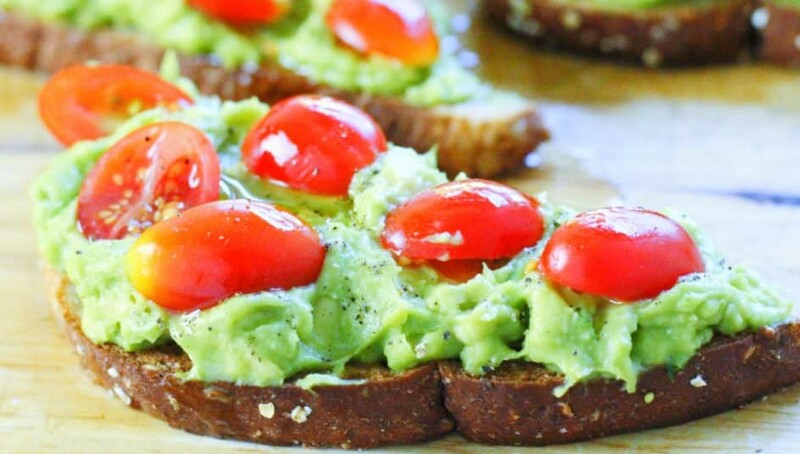 Find 30 more delicious snack ideas. The best way to enjoy this sweetheart of summer is to eat it fresh for maximum sweetness. If you must store it for a short time, you can place it in the fridge. “Keep ears cool in your refrigerator with the husks on to keep in moisture,” says Tomlin. Don’t wrap the corn in a plastic or paper bag. If possible, store them toward the front of fridge where it’s slightly warmer. “Corn will dry out and get starchy if it’s kept too cold because there’s not enough humidity to keep the kernel plumb,” says Tomlin. Keep the husks on for grilling corn on the cob. Categories: diet, food safety | Tags: apples, bananas, berries, carrots, diet, fruit, herbs, onion, oranges, tomatoes, vegetables | Permalink. Eliminating Coughs, Respiratory Infections, Bronchitis and Whooping Cough: Thyme is officially recognized in Germany as a treatment for coughs, respiratory infections, bronchitis and whooping cough.Thyme contains flavonoids that relax muscles in the trachea linked to coughing and inflammation. To make a cough-eliminating tea: Add 2 teaspoons of crushed, fresh or dried thyme leaves to 1 cup of boiled water. Let steep for 10 to 15 minutes. Strain and drink. Beating Fungal Diseases: As an increasing number of fungal conditions have become drug resistant research about thyme’s anti-fungal activity couldn’t have come at a better time. Thyme has been found to be effective against Aspergillus spores—a common type of mold that can cause the lung condition Aspergillosis in susceptible individuals. In one study researchers found that not only was thyme effective at inhibiting growth of fungi, it also increased the potency of the drug fluconazole to kill the disease-causing fungi. Another study in the journal BMC Complementary and Alternative Medicine found that thyme is effective against drug-resistant strains of Candida fungi—the culprit behind yeast infections. Soothing Back Spasms: According to world-renowned botanist James Duke, author of The Green Pharmacy, thyme’s natural essential oils effectively reduced his back spasms. Beating Headaches: Medical anthropologist John Heinerman, PhD, author of Heinerman’s Encyclopedia of Fruits, Vegetables and Herbs, recommends drinking thyme tea to treat headaches. He uses one teaspoon of dried thyme per cup of hot water. He also recommends soaking cloths in thyme tea to make a compress to ease aching muscles of the neck, back and shoulders to combat tension headaches. Helping to Prevent or Treat Cancer: Research in the journal BMC Research Notes found that thyme in combination with Middle Eastern oregano was effective at inhibiting human leukemia cells, suggesting that the herb may hold potential in the natural treatment of cancer. Categories: thyme | Tags: diet, herbs, thyme | Permalink. Thyme is more than just a tasty garden herb. This medicinal plant has been shown to help combat inflammation, acne, high blood pressure, and even certain types of cancer. Here’s how thyme can reduce your pain and benefit your health. Medicinal Chemistry published a study that found essential oil from common garden thyme (Thymus vulgaris) exhibited very strong activity against clinical bacterial strains of Staphylococcus, Enterococcus, Escherichia and Pseudomonas. Thyme oil also worked against antibiotic resistant strains that were tested. This is especially promising news considering the current increase in antibiotic resistant bacteria. The antibacterial action of thyme also makes it useful for oral care. Try mixing one drop of thyme oil in a cup of warm water and using it as a mouthwash. Cyclooxygenase-2 (COX-2) is an enzyme that plays a key role in the body’s inflammatory response. A Nara Women’s University study found that thyme essential oil reduced COX-2 levels by almost 75 percent. Interestingly, when researchers isolated a pure extract of carvacrol, a compound in thyme oil, this extract reduced COX-2 levels by more than 80 percent. Thyme’s anti-inflammatory action can also help with localized pain. You can mix a few drops of thyme oil into a basic massage oil and rub it into an area where you’re experiencing pain, such as muscle aches, headaches, or skin inflammation. In one study, rats given a thyme supplement had antioxidant levels in their brains that were equivalent to antioxidant levels of much younger mice. Also, the level of healthy fats, such as omega-3 fats, were significantly higher compared to mice that had not received the thyme supplement. Studies have indicated that high levels of omega-3 will help protect cognitive function and mental health as we age. A Leeds University study found that a thyme tincture was more effective in killing the bacterium that causes acne than common chemical-based creams, such as benzoyl peroxide. The thyme tincture was made by steeping thyme leaves in alcohol. This extracts the vital compounds from the plant. Naturally Healthy Skin has a good recipe for a thyme acne gel you can make at home. Thyme extracts are shown to cause cell death in both breast and colon cancer cells. Two studies found that wild thyme (Thymus serphyllum) extract killed breast cancer cells, and mastic thyme (Thymus mastichina) extract was effective against colon cancer cells. A fluid extract of thyme and ivy leaves was shown to significantly reduce coughing and other symptoms of acute bronchitis compared to a placebo. Drinking thyme tea may help when you have a sore throat or a cough. You can also try adding 2 drops of thyme oil to a container of hot water for steam inhalation. In separate studies, extracts from wild thyme (Thymus serphyllum) and Himalayan thyme (Thymus linearis Benth.) were found to reduce blood pressure in rats. Both studies indicated that thyme extract may protect against hypertension. A 2007 study looked at the effect of thyme essential oil as a disinfectant against household molds. They concluded that thyme oil is an effective fungicide against many different types of fungi and molds. You can add a few drops of thyme oil to water or your favorite household cleanser to help clean up any fungal problems in your home. Thyme can also kill fungi within your body. For instance, Candida albicans is the fungus that causes both vaginal and mouth yeast infections in humans. Italian researchers found that thyme essential oil greatly enhanced intracellular killing of Candida albicans. Thymol, a compound in thyme, is an ingredient in many different pesticides. It’s been shown to effectively repel mosquitos, which can help prevent mosquito-borne disease. To use as a repellant, mix 4 drops of thyme oil per teaspoon of olive oil and apply to your skin or clothing. You can also mix 5 drops for every 2 ounces of water and use as a spray. Many of these studies looked at thyme essential oil. Speak to your doctor, naturopath or herbalist before you start to consume thyme oil internally. Essential oils are potent compounds that should be taken under the advice of a professional. Incorporating more fresh or dried thyme into your diet is a gentler way to get all the benefits from this wonderful herb. Categories: thyme | Tags: anti fungal, anti-inflammatory, antibacterial, blood pressure, brain, cancer, cough, diet, herbs, skin, thyme | Permalink. Few people give their heart and vascular system much consideration until something goes wrong. But the circulatory system, which comprises the heart, lungs, arteries and veins, keeps hormones, nutrients, oxygen and other gases flowing throughout the body. Essentially, it is the delivery system for the body, without which we could not live. However, with our modern high stress lifestyle with its stresses, fast food and insufficient activity, we can become prone to the leading cause of death—heart disease. When we think of natural solutions for the condition, we probably think of a plant-based diet high in Omega 3 fatty acids and low in trans fats, saturated fats and Omega 6 fatty acids, not to mention exercise. And, we’d certainly be right in doing so since all of these lifestyle improvements can help prevent or reverse heart disease. But exciting research published in the Journal of Medicinal Food found that adding the herb rosemary (Rosmarinus officinalis) to your diet can also help treat heart disease. The researchers found that compounds naturally found in rosemary have significant anti-inflammatory effects, which is an underlying factor in the condition. A growing body of research links heart disease to low-grade inflammation throughout the blood vessels. Our dietary choices of trans fats and other harmful fats, excessive sugar consumption and other inflammation-causing substances can inflame the blood vessels. I tend to think of the inflammation underlying heart disease as scouring the inner walls of the blood vessels, which then need repair with substances like cholesterol, which is the body’s natural substance for arterial repair. While rosemary has been traditionally used throughout history in the treatment of headaches, memory and epilepsy, the research shows that it also holds promise as a natural medicine for the treatment of heart disease. The study concluded that rosemary has the potential to be developed into a natural heart disease medication or functional food. The easiest way to benefit from rosemary’s circulation-boosting and anti-inflammatory properties is to add it to your food. It is a flavorful addition to soups, stews, vegetable or poultry dishes. I add rosemary along with vegetables like onions, carrots, celery and other vegetable scraps and water to make a delicious stock that can be used to make soups, gravy, sauces or to cook rice, quinoa, or other grain. Rosemary is also a welcome addition to tomato sauces or other tomato-based dishes. Add two teaspoons of dried, organic rosemary needles or a 4-inch sprig of fresh rosemary to boiled water and let steep for at least 10 minutes. Strain and drink to reap the health and healing rewards of rosemary. Dr. Michelle Schoffro Cook, PhD, DNM is an international best-selling and 19-time published book author whose works include: Be Your Own Herbalist: Essential Herbs for Health, Beauty, and Cooking (New World Library, 2016). Categories: diet, herbs | Tags: diet, heart, herbs, rosemary | Permalink.